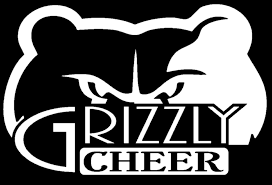 We would like to introduce the Grizzly Junior High and High School Cheerleaders for the upcoming 2018-2019 school year. The Junior High squad will include Emily Phillips, Kaylee Walters, Chloe Bowden, and Harley Plank. Our HS squad will include Captain Octavious Holtz, Co-Captain Natalie Linebarger, Alex Cox, Julia Allison, Nikki Anderson, Autumn Reed, Hope Anglin, Jordyn Miller, KassiDee Armstrong, Sydney Richardson, Jaycee Hanshew, and Haylee Dyer.